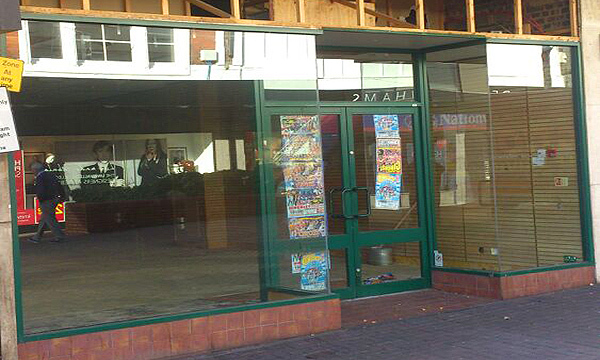 A leading nationwide property owner in conjunction with a High Street retailer required additional security to a new store opening in the pedestrian only area in the shopping zone of Nuneaton. A cost effective solution for both the front and rear of the store was required to secure the premises. The client requested that 'visual access' to the front window of the shop was retained so that passers by could still view the shop window displays outside of opening hours. Obviously this additional functionality was not to compromise upon the security provided. 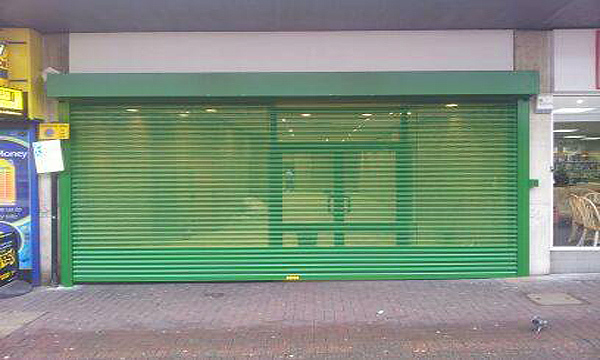 Our solution for the shopfront elevation was to manufacture and fit a perforated lath with a powder coated finish electrically operated roller shutter door. This provides great security but also maintains an aesthetically pleasing frontage that fits well into the surrounding retail dominated pedestrianised area. The rear entrance of the property was secured with a simple and cost effective manually operated roller shutter door with a set of bullet type locking ensuring easy operation whilst offering excellent security.